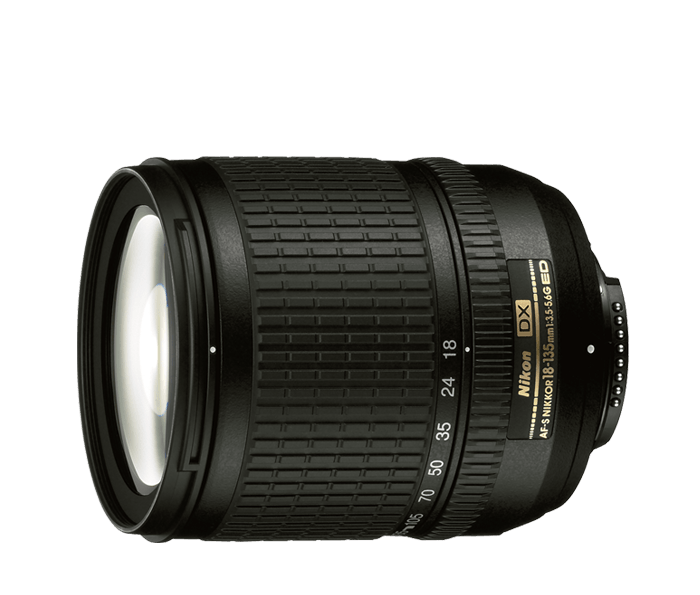 Versatile, high-power 7.5x zoom NIKKOR lens approximates the picture angle performance of a 28-200mm lens on 35mm SLR. A Nikon Extra-Low Dispersion (ED) glass element delivers superior optical performance. ED glass minimizes chromatic aberrations, contributing to superb contrast and resolution performance. Internal Focus provides fast and quiet auto focusing without changing the length of the lens, retaining subject-working distance through the focus range. Focus as close as 1.47 ft throughout entire zoom range. Non-rotating front element provides for convenient use of circular polarizing filters and the Nikon wireless close-up Speedlight system. A Compact Silent Wave Motor (SWM) enables fast and quiet auto focusing, along with quick switching between auto focus and manual operation(M/A and M).